Investing in diamonds may sound very ‘fency’ but it is much more challenging than it sounds. Moreover, investors can choose between investing in the commodity itself or buying diamond miners. When it comes to diamond miners we wrote 8 top diamond stocks for 2019 and beyond 2020 which is a great starting point for the diamond stock investing option. In this article we analyze the challenge and opportunity that comes with the two forms of diamond investing. Looking into the options when it comes to diamonds investing, the dynamics of this market, the price charts and means to do chart analysis (or lack thereof), all combined illustrate how tough this area is. Just looking at the diamond price chart for rounded diamonds probably makes our point. Each and every of our followers will admit that this is not the type of chart to identify patterns, nor does it allow for basic top down chart analysis approach (montly / weekly / daily timeframes). 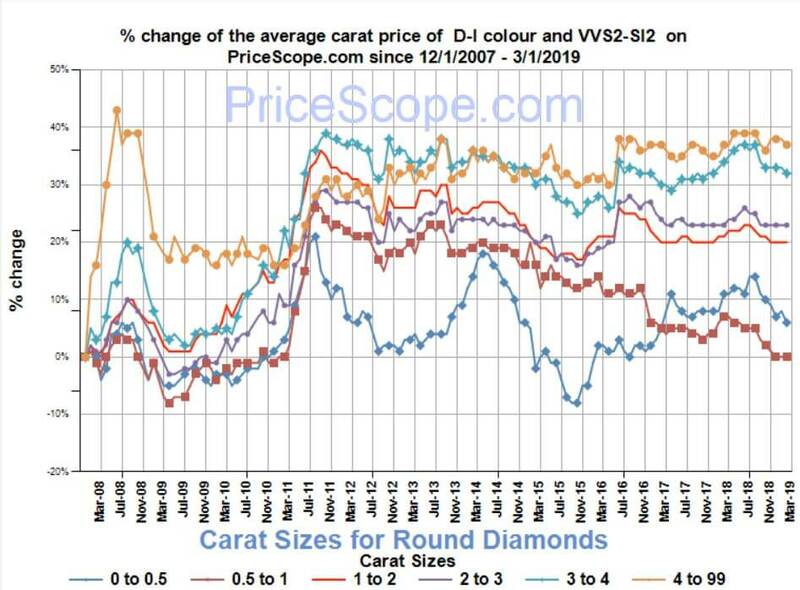 Moreover, above is the price chart of rounded diamonds. There is a multitude of other diamonds with each their own price (history). 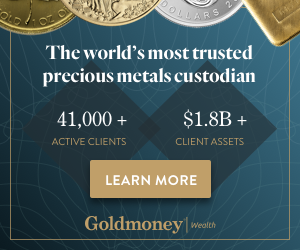 FT.com made this point as well in their article from 2013: “Certain types of diamonds, including coloured varieties, have held their value over the past few years better than other more volatile equity investments,” says Vashi Dominguez, chief executive of diamond trading company Diamond Manufacturers. If anything, investing in the stock market may also be challenging, but at least there is plenty of information out there. Moreover, there are many charting tools as well as data points available to perform analysis. Not so in the diamond investing and diamond pricing world. The same article mentioned above discusses several pitfalls and complexities. A similar point was brought forward by CNBC in this article. The focused on the transparancy and certification aspects as well. As per this article as well as Wikipedia’s section on diamond investing we see a couple of ‘reasons’ to invest in diamonds coming back consistently. Diamonds don’t take up room. A diamond is durable – It doesn’t break or wear off. You can enjoy it while you have it. Psychology: It is physical. You can hold it, look at it and even wear it. When we read through this we become really concerned. First of all, there is an emotional connection which we find back. As said in our 100 investing tips emotions are the number one enemy of any investor. We also elaborated on this topic in investing without emotions. Second, the physical aspect of diamonds is not necessarily an easy thing. It makes investing harder. It also makes it less safe. You surely need a safe at home, why would you do this anno 2019? Third, as an inflation hedge, we know easier instruments to invest in than diamond investing. All in all, we don’t really “get” it. It really looks like investing in diamond miners is the best option for investors that are not deeply involved in the diamond business. That said, let’s look at the state of the diamond miners in a simple and classic top-down fashion. Let’s review the PICK ETF which we discussed in our recent ‘diamond top stocks’ article. Note, though, that PICK ETF is not only about diamond miners. There are also other miners in the ETF. That’s why PICK ETF is not a perfect proxy for diamond miners. First, the monthly shows this huge rounding bottoming formation. Any break above the 36 area might be signaling a new bull market for diamond miners. Next, the weekly shows this megaphone formation since last year. There is a clear attempt to get out of this formation now. A break above 32 would be bullish on the medium term timeframe! Last but not least, the daily has this falling channel which, similar to the weekly, shows a bullish turn once above 32 points. After analyzing the two options related to diamond investing we prefer to stick to diamond miners as the most reliable diamond investing option. The diamond stock sector shows signs of a brewing bull market which is what we discussed earlier as well. This sector is on our watchlist for the next few months and years.